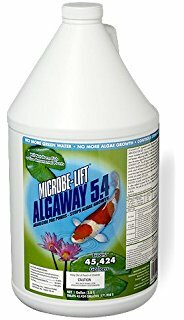 Control string algae! No more green water with Microbe-Lift AlgAway 5.4 Algaecide! It stops algae growth in ponds and can be applied to areas that contain fish and plants! Will not harm fish or live ornamental plants.